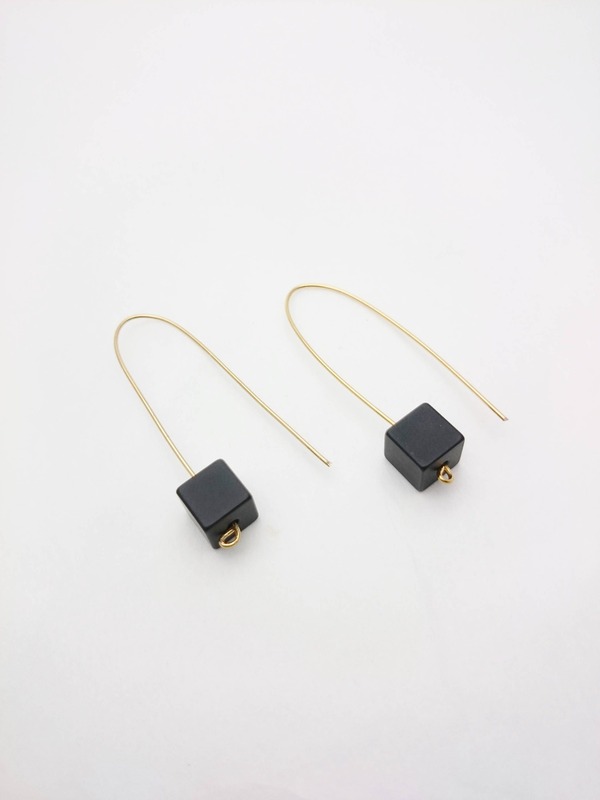 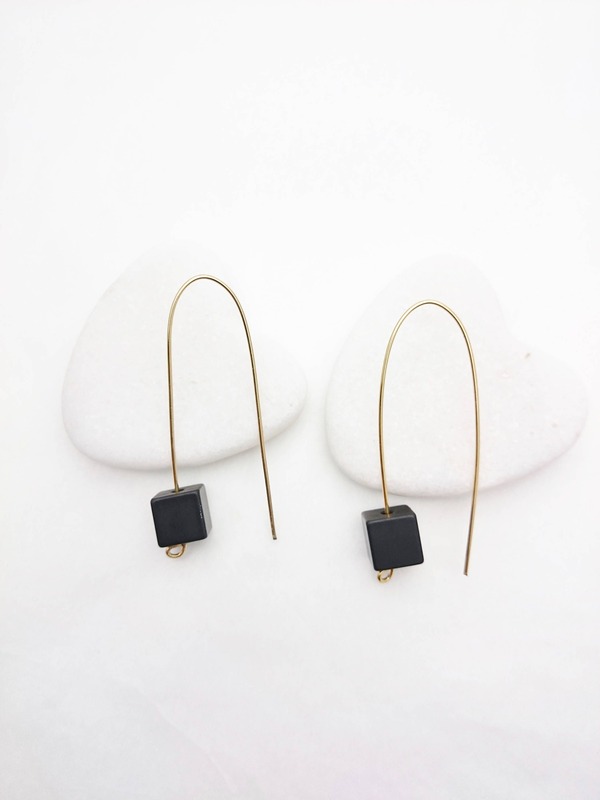 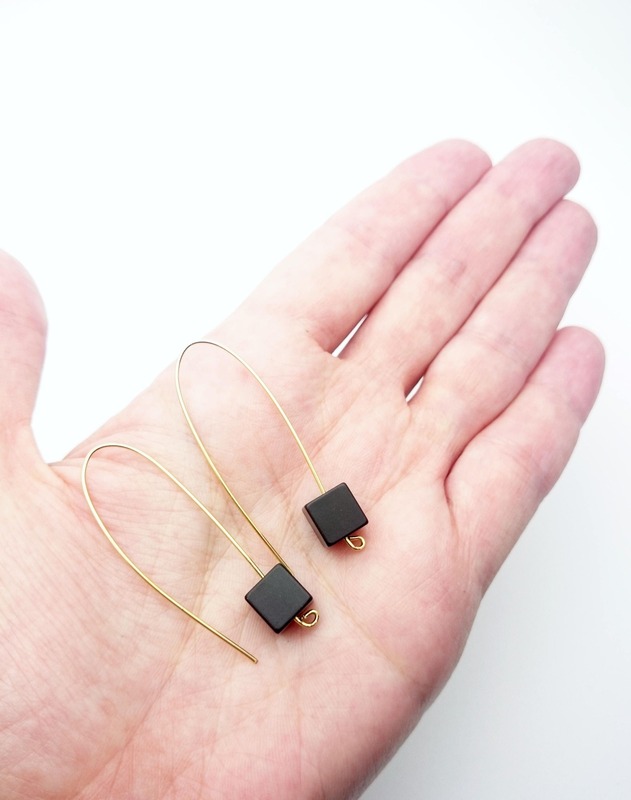 Long Gold Black Geometric Cube Pendants Earrings//Aluminium anodized black cube dangle earrings gold steel earwires//Modern Black Dangle. 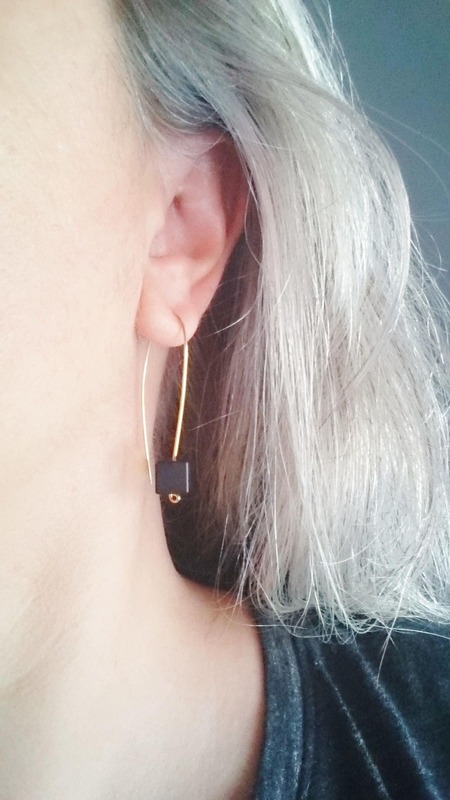 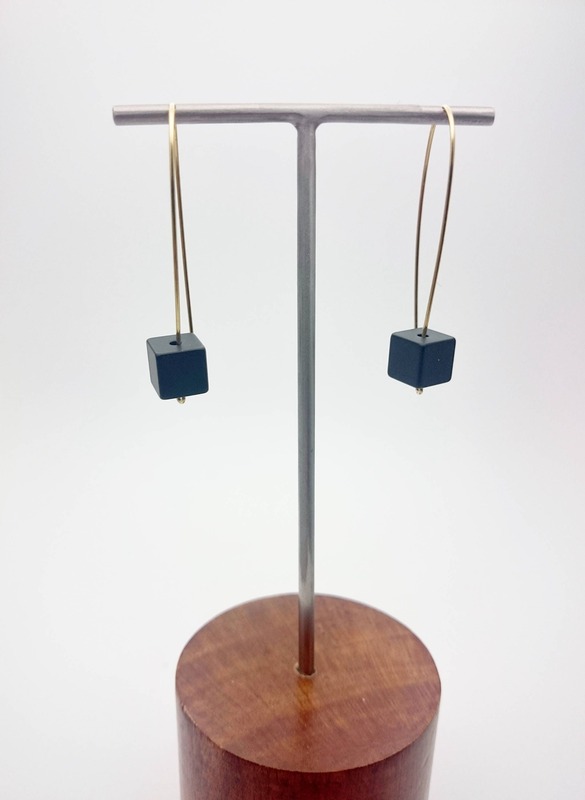 I made these earrings with gold color stainless steel wire and anodized aluminium black cube pendants. 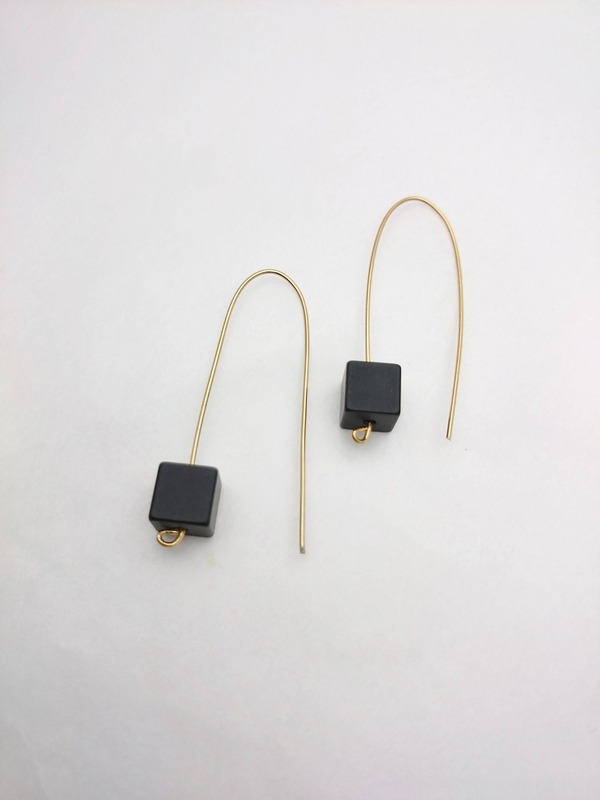 The entire earrings (with closures) are 40 mm/1,5 inches long. 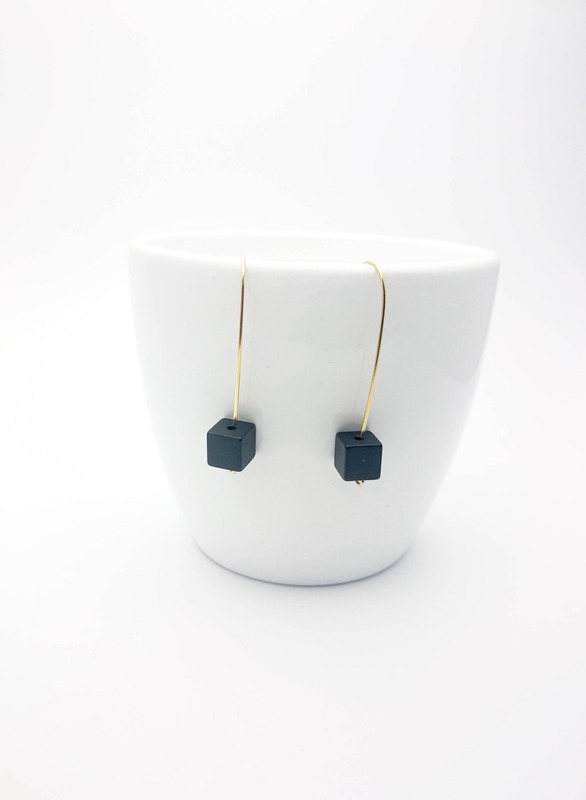 Cube size : 10 mm.